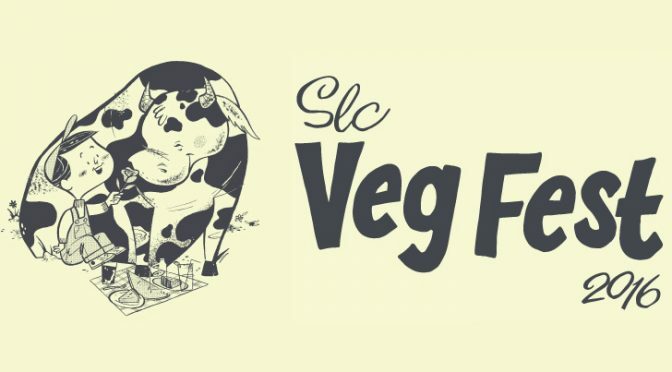 This Saturday, thousands of vegans and veg-curious people will descend on the Salt Lake City Main Library Plaza for the inaugural “SLC VegFest,” a free festival presented by the Utah Animal Rights Coalition (UARC). VegFest will feature food, a beer garden, live music, and informational sessions about how going vegan can improve your health, fight climate change, and save the lives of more than 100 animals every year. More than 20 exhibitors will be present. SLC VegFest is a 100% vegan event. Several restaurant vendors will be on hand preparing and serving delicious vegan meals, including Piper Down Pub, Ice Haus, Sage’s Cafe, and Soul Traveler Foods. These vendors will be selling a diversity of options, including vegan “fish” and chips, shepherd’s pie, brats, tacos, mac and “cheese,” Philly cheesesteak sandwiches, and tofu-eggs benedict. Additionally, attendees can buy vegan pastries from Passion Flour Patisserie and Big O Doughnuts, cold-pressed juice from Vive Juicery, and gourmet cashew “cheeses” from Zest Kitchen. Attendees will have the opportunity to listen to a variety of speakers inside the library auditorium. Speakers will present information about why and how to go vegan, including a keynote address from Matt Ruscigno, MPH RD, who will be giving a talk on how going vegan doesn’t mean you have to prepare expensive or exotic foods. With a designated kid’s area featuring an inflatable slide, VegFest is an event for families and people of all ages. VegFest also features an Athlete Expo exhibition area, where athletes demonstrate their physical prowess and answer questions about how vegan athletes can best satisfy nutritional needs. The athlete expo will also offer free fitness and yoga classes to attendees. 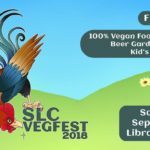 SLC VegFest will take place Saturday, September 10 from 11 am – 6 pm.